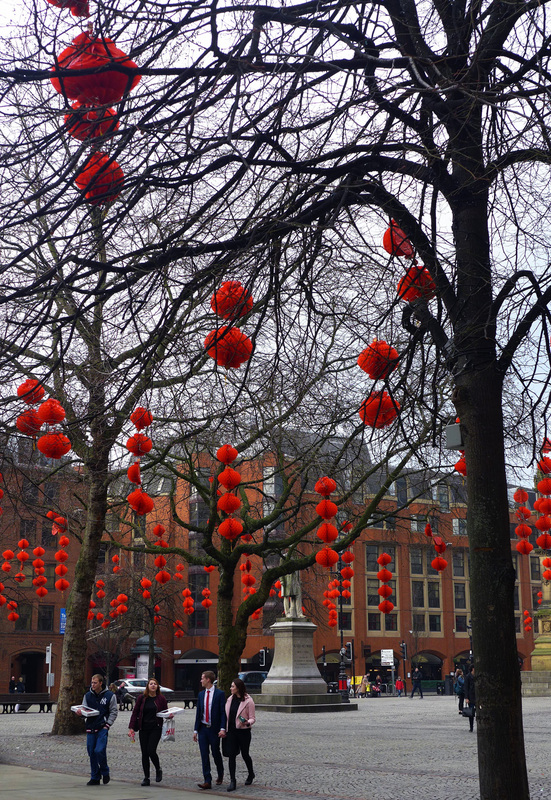 Mr Coopers House and Garden, Manchester. 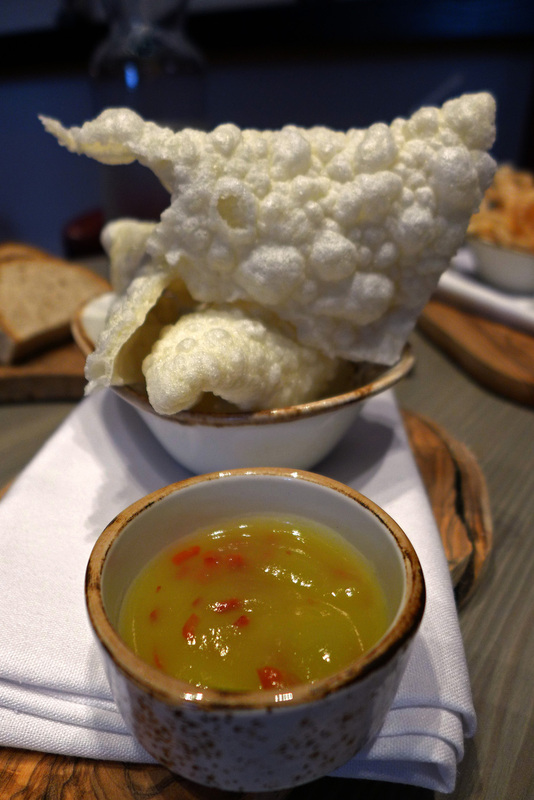 I reckon I must be the last of the Northern `foodies` to try Mr Coopers house and Garden restaurant. Some greedy Gannets like number one food blogger Hungry Hoss have dined here on multiple occasions in the 18 months that the restaurant has been open. Cory, my daughter needed to be in Manchester for a meeting with her new agent so that left me with a couple of hours to eat. It was valentines weekend and the whole city seemed to be booked solid. Mr Coopers was, as I expected, fully booked and so a quick message to Mr `Hungry Hoss` and a few Tweets later we had a table for two put aside. And so my Valentines weekend unfolded. A romantic table for two with `The Hoss` , complete with his flat cap and a foot long goatee. He really didn`t really make good `eye candy` tableside viewing so hopefully the food would tickle my fancy a little better.Chef Simon Rogan runs Mr Coopers house and garden restaurant as well as “The French” ( and 4 other UK restaurants). 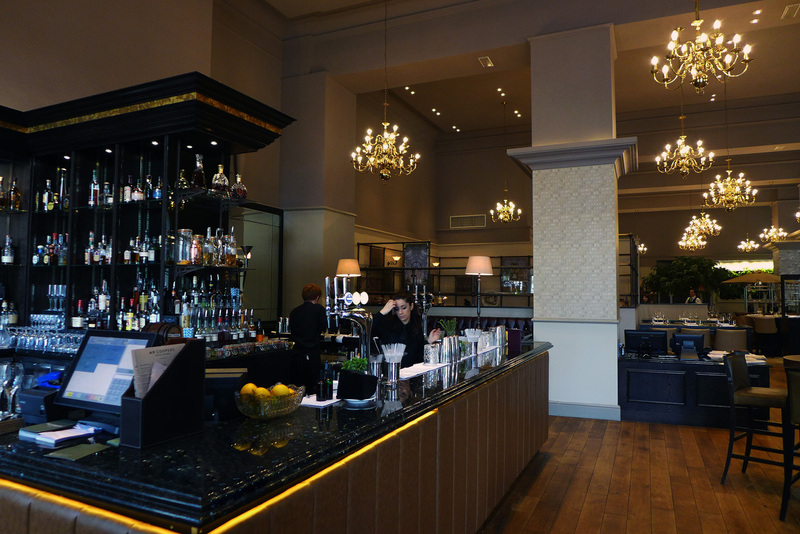 Both are situated inside Manchester`s Midland hotel. The last time I was in the Midland Simon took me for a little look at Mr Coopers house , it was an upside down building site. 3 weeks after that it was transformed into the beautiful restaurant you can see below. 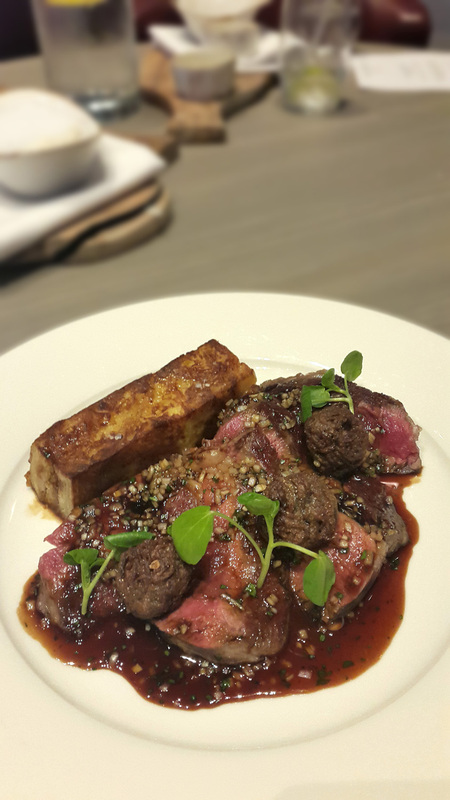 One thing that really impressed me was the Menu, it was attractively priced with plenty of choices to pick from. 10 starters priced at around £6.50. 10 Mains around £16 and 10 Desserts at £7. 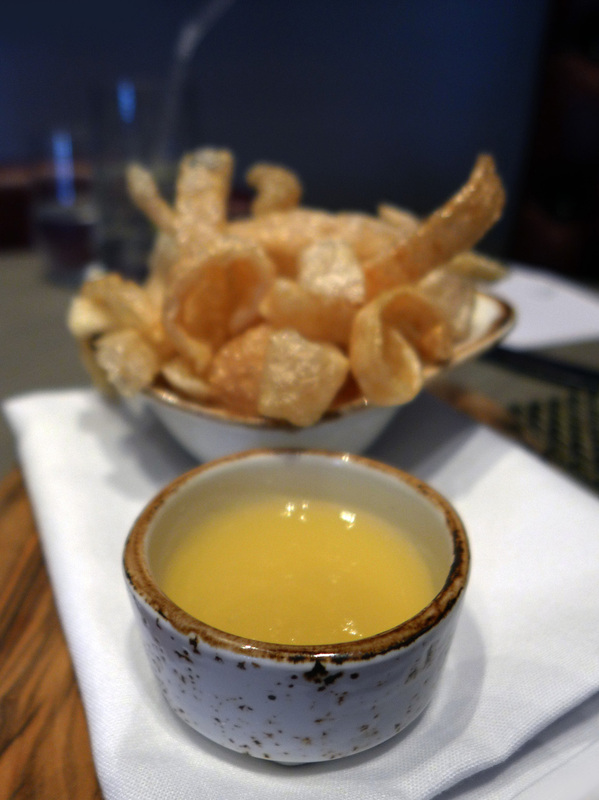 At these prices it brings high end well cooked food into the scope of most diners so that was really nice to see. Over the last 10 years I have been really blessed to sample all of the stages and developments of Rogans food . I`ve been there since Lenclume opened its doors and followed the team through all of their ventures throughout the UK to their current project “Fera” in Claridges , London. 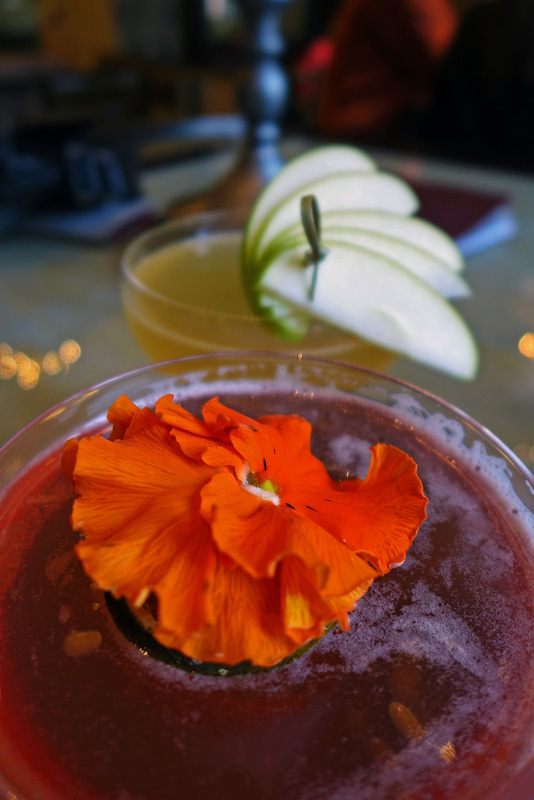 The Rogan empire now consists of 6 outlets encompassing Pub food , Bistro and fine dining. There`s something there for everyone so pop along to the Midland hotel and give Mr Coopers a go…Don’t know why it took me so bloomin long. Ill be back for more soon though. 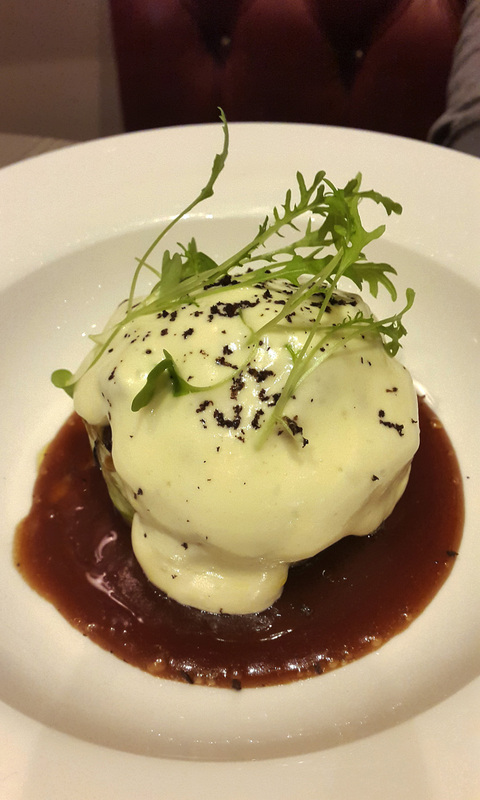 PRICES – 3 courses a la carte for an attractive £25.00. 3 course Sunday roast lunch for £19.00, and a 3 course set lunch. £20.00. 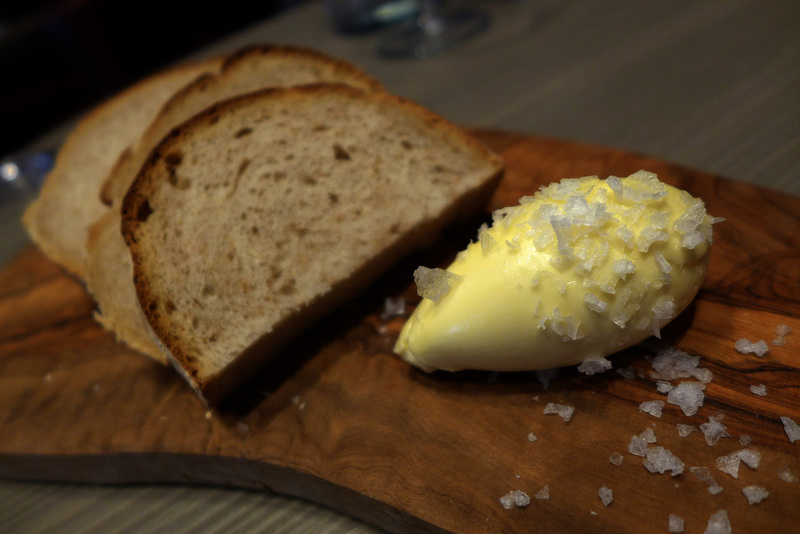 Home made Sourdough , whipped Butter and Salt flakes. Blue cheese puffs , Celery and Chilli. 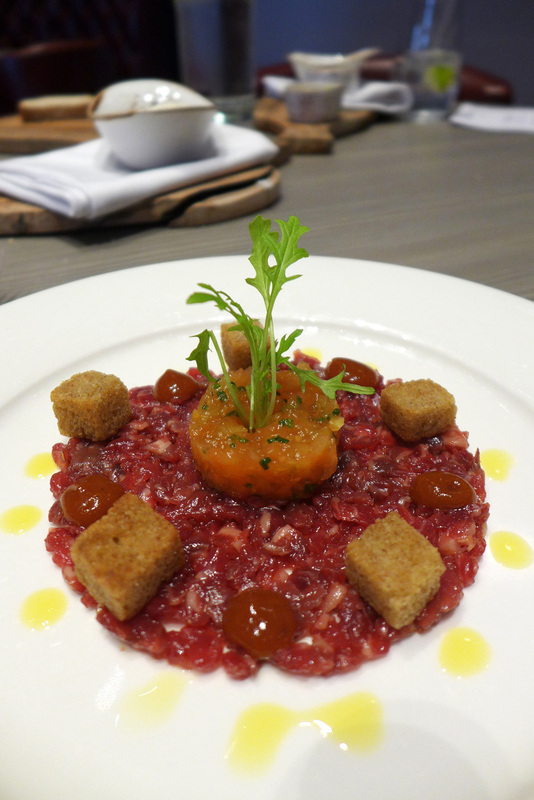 Raw Beef with pickled Paw Paw , toasted Rye bread croutons and sweet Chilli jam. 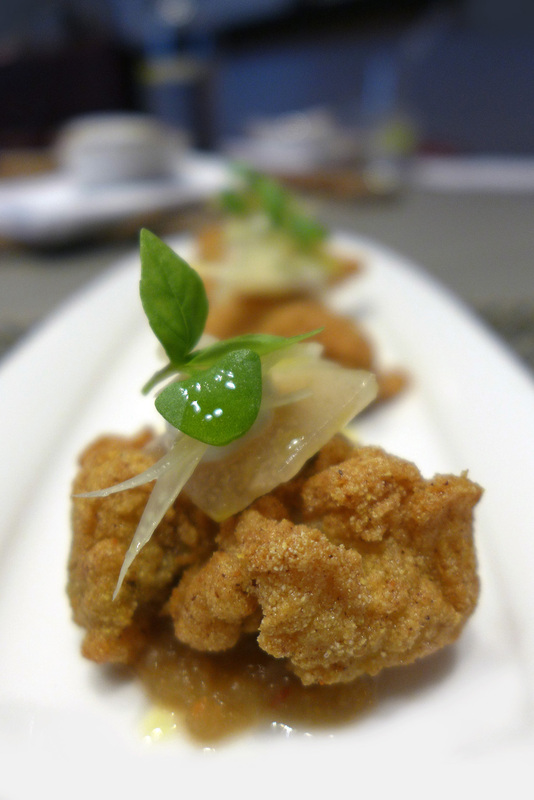 Buttermilk fried Oyster , Kimchee puree , Pear and pickled Fennel. Roasted sweetheart Cabbage steaks , Teriyaki sauce , grated Wiltshire Truffle and hot Wasabi mayonnaise. 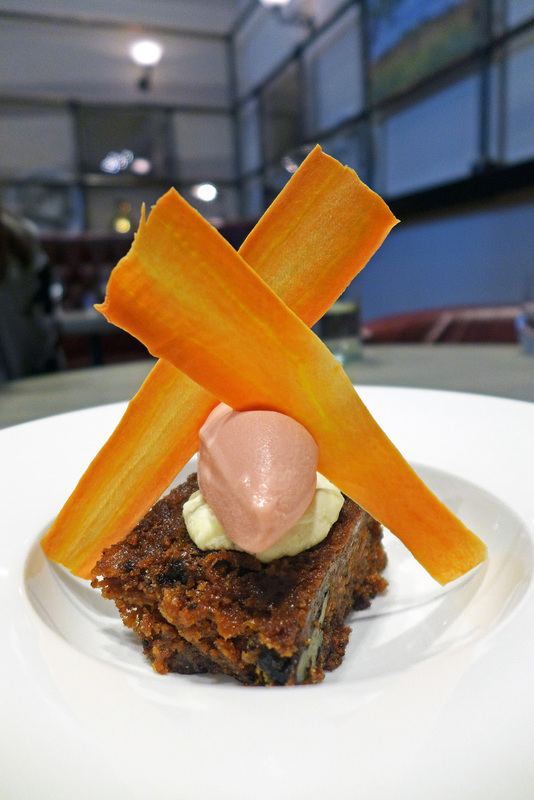 Carrot and Olive oil cake with blood Orange sorbet. 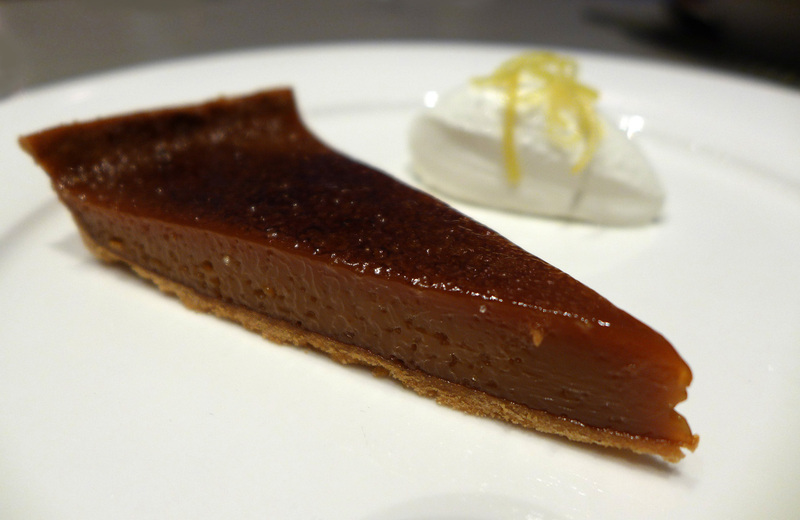 Caramel tart with Marscapone ice cream. 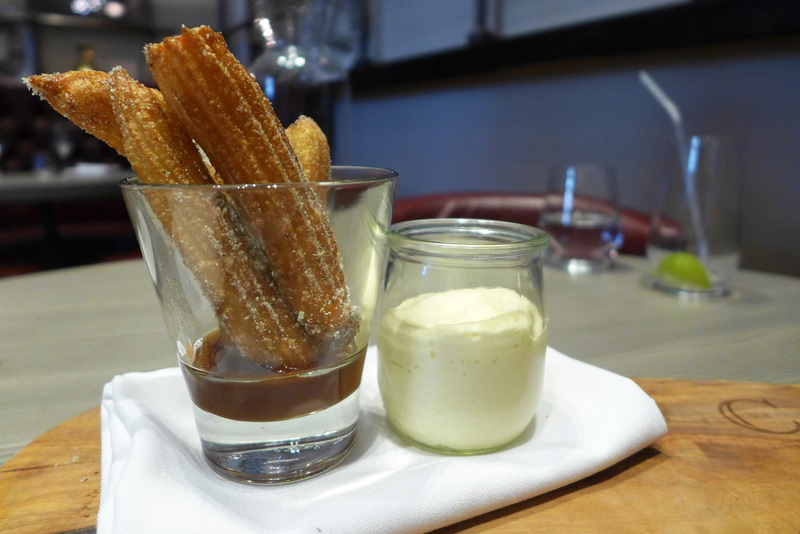 Lavender dusted Churros , Caramel and Junket mousse. Previous Post A quick foodie fix in Bangkok… “Again”. Next Post The Inn at Ravenglass , Seafood heaven. Great write up and awesome photos as always Alan! 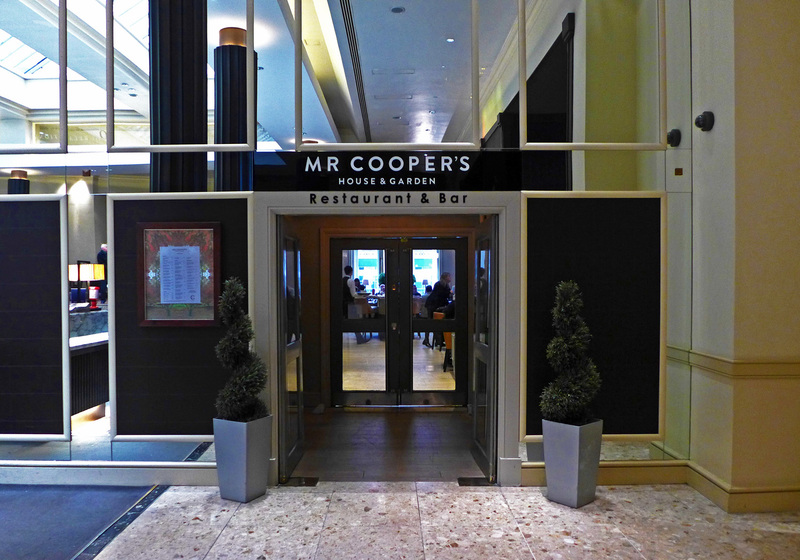 We’ve not been as many times as the deservedly-renowned Hoss, but right now Mr Cooper’s is our favourite restaurant in Manchester (sacreligiously we nowadays prefer freeform to tasting menus). As you say the quality is incredible and the prices are incredibly reasonable. We’ve described it to people as “Rogan’s version of Dinner at the Mandarin Oriental”. And, as ever, we love your menu choices – that Truffle Pudding and the Carrot and Olive Oil cake were some of our favourites!